You have to be able to count in order to be able to play—oh yeah, and business. Golf and accounting are both about business culture, right? Sure, but there’s obviously a lot more to it than just that. From natural personality traits to cultivating calm in your mental life, from playing by the rules to relentlessly seeking improvement, there are all kinds of instructive connections between golf and accounting. Golf is like accounting in some truly fundamental ways starting with the fact that each seems like such a deceptively simple goal: Hit a ball with a stick. Record and reconcile numbers to track financial activity. And yet. For anyone who’s ever taken on either golf or accounting in any serious way can tell you, it’s never quite that simple. All the muscles in your body must come together in balance and in time with each other to achieve the desired effect. Those who are naturally attuned to the details tend to be best at both golf and accounting, and yet, it’s often the ability to not become hyper-focused or lose trust in a well-practiced system that determines long-term success. Again, it’s a lot about personality traits. In golf, you get 14 clubs. In accounting, you’re given a number of resources from printers, computers, software, phones, tablets, filing cabinets, etc. In golf, it doesn’t make a lot of sense to carry three putters in your bag. In accounting, you can have too many competing resources for an effective system, especially when it comes to data management and software technologies. Maybe you don’t need to carry a driver and fairway woods in your bag most of the time because you typically play Par-3 courses, maybe because you’re teaching children how to play or because you’re pressed for time. In the same way, if you’re an independent accountant managing a handful of local business firms, the best club in your bag might be a low-cost accounting and payroll solution. In contrast, if you’re head of the accounting department for a sizable corporate firm, you might pitch the idea of investing in and integrating a custom payroll platform. The best accountants—and golfers—practice the art of perfectionism not just in the details but in the system itself. It’s easy to get complacent when an employer is happy with the results. On the other hand, you can only go so long before your accounting resources are outdated—especially if you don’t yet have a relationship with a software company that’s continually updating their offers. On your end, diligent data entry and tracking are essential, just as the golfer needs to focus on one shot at a time. Accounting solutions need to be continually analyzed and improved upon for error rate, on-time filing, and accounting costs to determine if and when a change is needed. Likewise, golfers need to analyze their game by more than just their round score. You should also look at fairways hit, greens in regulation, and putts—at the very least. Both personal and professional investors can learn to craft better investment strategies, make better individual investment choices, and gain greater perspective through their love of golf. 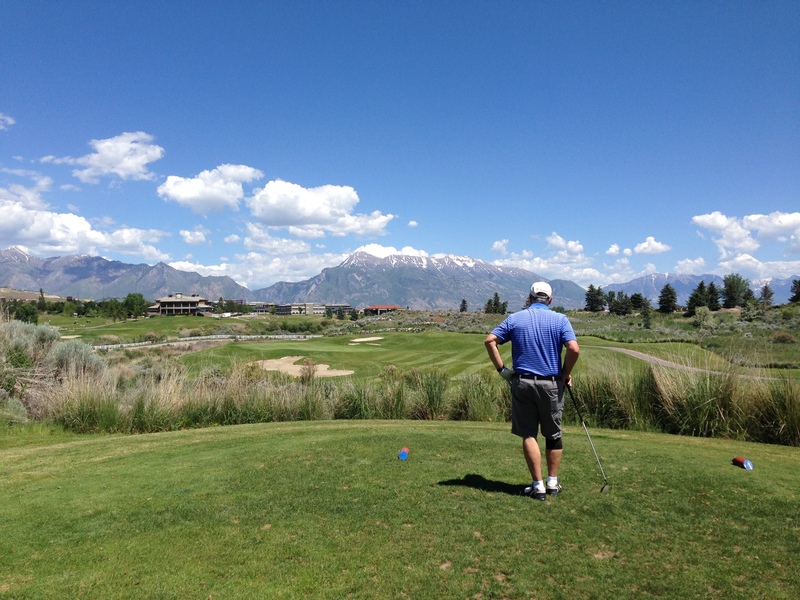 You need to know your long-term financial goals and how you’re going to get there, just as you to understand how the details of the game and your swing can lead to lower scores and a deeper passion for the experience. From basic working knowledge of your investing platform to doing the deep-dive research into specific stocks and various trading strategies, from diversifying your portfolio to knowing when to take a calculated risk, practice makes perfect, or so they say. We say that there’s no such thing as perfect—not in a round of golf, not over the course of a lifetime of investing. In golf, you need to learn some sense of the proper form, before then also putting in several hours on the driving range and on the putting green. In the best of circumstances, this hard work will pay off in effortless seeming success on the course and in your investment returns. It’s not enough to rely on single stock tips, no matter how juicy and intuitive they might seem at the same time. You may feel most comfortable with a 7-iron in your hand, but just because you’re a 7-iron away from the pin doesn’t mean you should be shooting at the flag if it’s just 20 feet from a water hazard. Likewise, you need to be able to fit the club selection and what kinds of shots you have in your bag with the ultimate goal of getting the ball in the hole. With investing, this really just boils down to consistent and honest risk-reward evaluation and then being able to trust your read and take action. Even then, course management and club selection can only cover for so much and it doesn’t help the bad short that will occasionally happen to anyone. Overcoming adversity and not panicking is a great lesson for golf and for investing. Maybe instead of a traditional game of golf, you prefer the relative ease and fun of miniature golf or Topgolf. There’s no shame, and there is a lot of low-stress fun to be had. Maybe you don’t need to fret over competitive investing and trying to beat the market. Moreover, golf isn’t cheap and investing fees can add up. Likewise, in most settings, the greens fees is a consideration about where to play. Likewise, most people consider the cost of doing business with a financial advisor, investment firm, and/or trading fees. More than just a cultural tradition that’s quickly becoming outdated, golf can cultivate and replenish those traits and behaviors that make for an effective business leader. There’s still a lot to be said for the truism, “It’s not what you know, it’s who you know,” but this is arguably less true than ever before. And so, more than just being around those people who already have money and influence, golf has value in the business community for the traits and knowledge it takes to play well and to play with pleasure. In our experience, in today’s business world, you and your company has to work hard and smart to succeed. I take a similar approach to golf in my personal life. 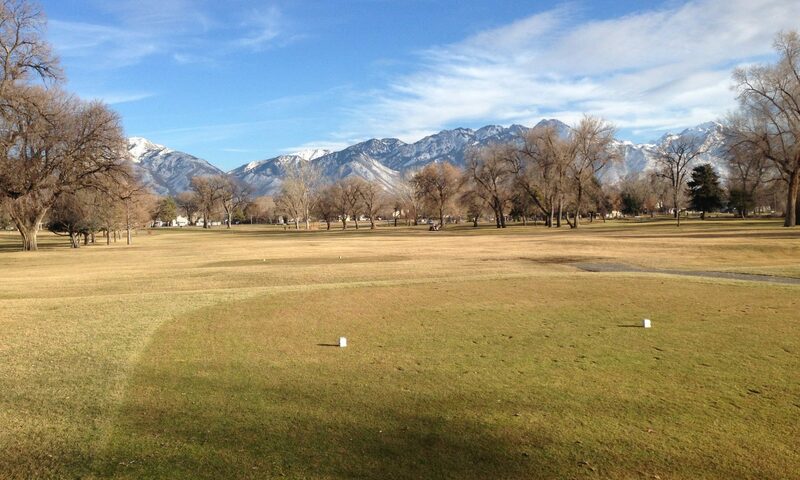 Even if I can only find an hour or two at most of time, I’ll get out to local driving range and putting green. Heck, even if I only have 20 minutes, I might get out my putter and work on making solid strokes, squaring the putter head and aiming for a spot on the wall. I never was into the fake indoor putting greens. But I also try to work smart: I line up and pick a spot to aim at on every one of my practice strokes. On the putting green, I use one ball, I try to read every putt, and I hole out every time. “Not being afraid to fail” has been a trendy tech business motto for several years now, but it still makes me think about making a major or even semi-major swing change. Your swing results may have to digress before you get better. But you still have to buy-in and not be afraid to fail to know whether or not the new swing mechanics might unlock a new level of golfing proficiency. I’m not talking about playing nice or being conciliatory—although, arguably, effective leaders need to have this club in their bag, too. Rather, I’m talking about how recognizing and following decorum to gain or maintain an advantageous situation—or to minimize a disadvantageous one—is essential as a business leader. Still, much like being an effective writer involves knowing the rules so you also know when to break them, so too is the decision to break with etiquette and tradition in golf, business, and other circles of life. It may be A Gentlemen’s Game, but it’s not just for the dudes. Just as businesses lose a competitive edge by ignoring the skills available from half the population that’s consistently underestimated, this simple lesson of gender equity is one that some of the most exclusive and prestigious private golf clubs took too long to learn. Golf has gotten more expensive than ever. Between land-use, water irrigation, and groundskeeping costs, golf courses have no choice but to raise their greens fees. Climate change has played a role as well. But there’s also golf equipment with the latest technologies and eye-popping price tags that are likely to send a lot of golfers to the secondhand store. This is all part of the reason why Red Bird Golf Links is interested in expanding the definition of and access to a round of golf. So, we thought we’d put together our best list of modern hacks for playing golf for less money and less time. While golf remains highly popular in many areas, not every area has enough popular demand to meet the number of courses that have been built in that area over the years. One of our best hacks if you’re able to find an off-time to get to the course, or if you’re just fortunate enough to have nobody behind you, is this….play two balls. If you or if you and one other player know how to play quickly, and if you know how to take care of the course as you play, there’s usually no trouble at all to do this. Though we admit we never start with two balls off the first tee as a courtesy to the starter. Find the off-times for playing at various golf courses in your area. It’s not going to work every time, but even if you can’t play two balls, you’re more likely to get around the course without spending 5 hours. It’s also part of the modern lifestyle. The gig economy, young entrepreneurs, and work-from-home employees all have greater schedule flexibility than ever, so use it to play golf. Splitting membership cards. Tread lightly here. If they provide free rounds of golf for large upfront fees, if they have a photo ID, you don’t want to get in trouble or, worse, banned from the course. But if it’s just a 10 or 20 percent discount for a modest annual fee and you’re splitting it with someone who plays on opposite days of the weekend, a lot of golf courses won’t care. You may just need to look a little harder to find attractive Groupon or other online incentive programs. Talk to your employer about sponsoring an event. One of the reasons people are playing less golf is because they have less time in their schedule with work. Meanwhile, the employer is interested in building teamwork and a positive work culture. 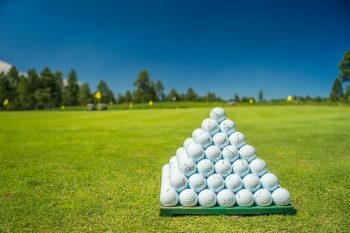 An annual work golf event is an easy sell especially if a local golf course can offer incentives to manage the total event costs—whether the bill is picked up by the employer, employees, or some combination of the two. Work part time at the golf course. This is a great option for younger and older golfers especially. It can be that job that puts gas in your tank and car insurance paid, or it can be that job that helps make your retirement plans easier to make work, while also being able to more or less play as much as you want. Most golfers and even a lot casual observers are familiar with the two most common types of competitive golf—aka ways of keeping score with your friends and opponents. Stroke play is when you simply add up all the actual strokes and penalty strokes over a certain number of holes (typically 9 or 18 holes). It matter whether you lose a hole by 1 stroke or by 4 strokes. In contrast, with Match play each hole counts as one discrete win, loss, or draw. You can’t lose more than one hole at a time…unless you’re playing a variation of match play like Skins in which the hole carries over to the next hole until a player wins a hole and collects the value of all the holes that have accrued since the last time a player won a hole. But this is just the beginning. Whether you’re looking for new ways to play with your friends or you’re trying to buff up on your golf trivia, here’s a collection of common and not so common variations of the traditional stroke and match play golf. A foursome is played between two players in partnership, playing one ball which they stroke alternately. One player tees off on the odd numbered holes, the other on the even holes, regardless of who played last on the previous hole. The other shots are played in turns until the hole is finished. Penalty shots do not affect the order of play. Foursomes can be played under match play or stroke play rules. There are countless variations of foursomes. In Mixed Foursome, in which two teams of a male and female golfer playing alternate shots. In Canadian foursome each player plays his/her own ball from the tee and the players then decide together which ball is in the best position and the other ball is taken out of play. In Greensome, a variation of foursome where both teammates of each team make a tee shot and each team selects which one they prefer. The player whose ball was not selected, then plays the second shot and all future even-numbered shots on this hole, the other teammate playing all further odd-numbered shots. In Chapman, also known as Pinehurst, this is a variation of four ball where each player hits a tee shot but then swaps positions before hitting the second ball (each player of the same team hit their teammate’s ball). The team then decides which of the two balls they choose to play before picking up the other ball. From there, the teammates alternate strokes until holing out. Also known as Bag Raid, this is a great way to make golf new and interesting again. Also a great way to develop your shot-making skills. Using match play, when a golfer or team wins a hole, they “remove” a club from the opponent or opponents’ bags, typically starting with the putter, then the driver. That This continues until the match is decided. Some people allow a team to reclaim a club if someone on their team makes a net birdie. Learn how not to get discouraged by one bad hole. Any time a player follows up a double bogey or worse with a par or better on the next hole, they win a point. Any time a player makes back-to-back double bogeys or worse, they lose a point. The same as foursomes but each player plays with his own ball and the better score of the team counts. Four Balls can be played as match play or stroke play. In a three-ball match, three players play against one another, with each playing two discrete matches. A slightly different form is Best Ball, in which one player plays against the better ball of two or more different players. In Patsome, the six first holes are played in Four Ball, the next six in Greensome and the last six in Foursome. The final count of strokes is calculated as in Foursome. With closeout, the 18-hole match is worth a set amount and once it’s decided, a second match on the remaining holes begins for half the original amount. So if the initial wager is $20 and the match play is closed out after 15 holes, the last three holes are played under match play for $10, and if one player wins 16 and 17, the 18th hole would be played for $5. Great for making sure every hole counts. This is the golf game for you if you frequently play with two other friends. There are a total of nine points available on each hole (a point has a predetermined dollar amount). The player with the low score on a hole gets five points. The player with the second-lowest score gets three. And the worst score on a hole gets one. If there are ties, you simply divide the points by the number of players tied. Relatively easy to keep score among three players that’s different than standard stroke play. Type of match play in which each hole is worth a given amount of points or money. You can win only by winning the hole outright, which is done by carding a lower number of strokes on a hole than all other players. 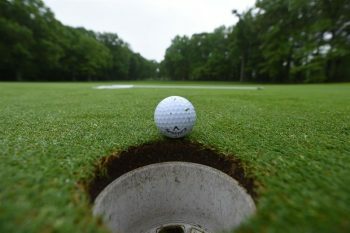 If the best score for the hole is achieved by more than one player, the money or points are carried over to the next hole. An entire match may be won by winning a single, well-timed hole. In the event that two or more golfers halve the final hole, a playoff begins until one golfer wins a hole outright. Instead of rewarding great shots, players are penalized with points for bad shots. Such as Hitting a ball in a bunker (1); Hitting into the water (2). Hitting out-of-bounds (3). Three-putting (1). Four-putting (4). Duffing a tee shot (1). Points can also be subtracted for stellar play such as making birdies, holing long putts or stiffing shots from off the green. Feel free to modify the categories and points. The player with the lowest point total wins. 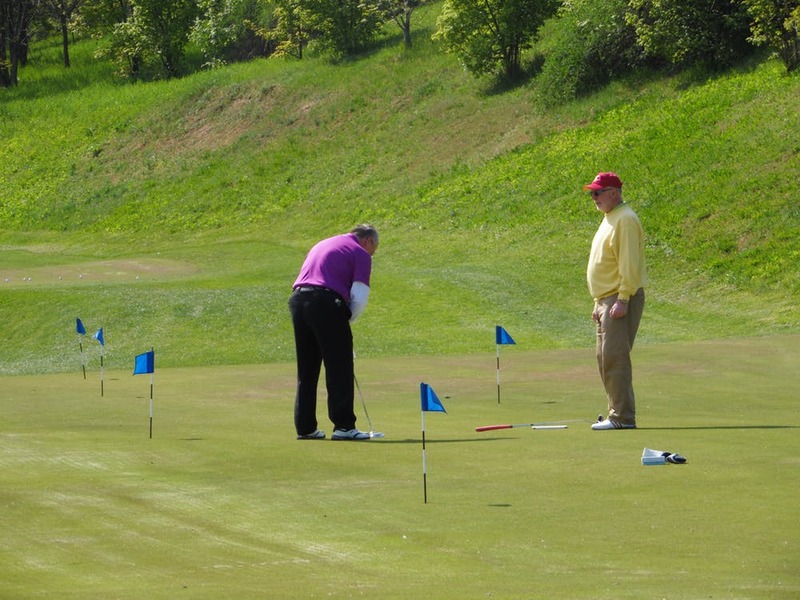 Great for developing course management skills. Stableford Scoring is a scoring system in which different strokes are awarded different point levels on each hole. 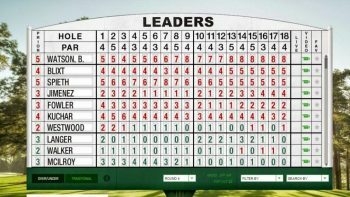 There are two widely used Stableford Scoring systems. Each type of scoring system is designed to incentivize a more aggressive style of play. Over three holes, two birdies and a double bogey will result in a better overall score than three pars. The winner is the player who scores the highest number of points. Here is how each Stableford Scoring system works. Think of this as the pass/fail version of golf. Rather than using match play against at an opponent, players need only score a bogey or par to get a result and score a point for the hole. The winner is the player who is most successful in the aggregate of holes. Great for players who fear or struggle with one or two holes, a player can use his or her handicap strokes on any hole until they run out. The catch is that the handicap stroke (or two) has to be declared before the tee shot on that hole, and a maximum of two strokes can be used on any one hole. The player with the low-net score wins the pot. Can be used for stroke or match play with varying results. Great for not ruining the fun when an inconsistent player is prone to blowing up on a couple holes. At the end of the round, each player gets to throw out his or her worst score on three holes. The best 15-hole score wins the pot. This is a great game for mid-to-high handicappers because it tends to keep everyone competitive and interested for longer. Some people prefer to not even add up the score until afterward. Each player in a team (typically of two to four players) tees off on each hole and the team decides which shot was best. Other players pick up their ball and play their next shot from that position. This process is repeated until the hole is finished. The lifted balls must be placed within some distance, often 6-12”, of the original player’s position. This is a popular type of competition for events and organizations, especially those that involve players of varying skill sets. Here is one example of official Golf Scramble Rules. Texas Scramble: This variation requires a set number of drives from each team member must be used during the course of the round. Reverse Scramble/Bloodsome: This scramble is one in which the team plays its worst ball after each stroke. Better for small teams of skilled golfers. Otherwise, it can take forever. Shamble/Bramble: Pick the best ball off the tee, everyone plays regular golf from there into the hole. Ambrose Scramble: An adjusted team handicap is used to level the playing field across teams of varying skill level. Florida Scramble: After each stroke, the golfer whose ball was selected sits out the following stroke. Also called a Drop Out Scramble, Stand Aside or Stand Out. Each player gets a SCrambleslength of string that they can use to improve bad lies. The length of the string depends on the player’s handicap (generally 50cm per handicap point). When in a bad lie the player cuts off the length of string equal to the distance they move the ball(without penalty) to any new position away from where the ball had previously come to rest. Once the ball is moved, that length of string is no longer available. Each player may use his string at any time during the round to save as many strokes as possible. Great for a side pot game that will force you to become better at short and clutch putting. There are no gimmies in Snake. Any three-putt or worse, you have to add to the pot. The last person to three-putt has to pay the other players the amount in the pot. You may want to keep this side pot add-in small, especially if you’re playing one a more aggressive variation in which the amount you add to the pot doubles each time. Another version makes the person with the most three-putts pay.